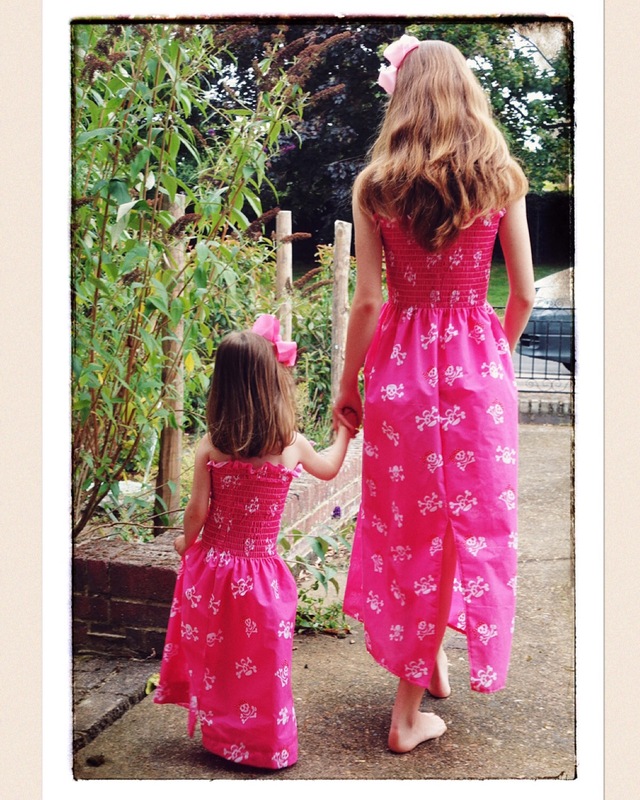 Its been a really busy summer for me both on the sewing front and with my little one. Thats why I am only now getting around to doing my update on all my summer makes. Although I didn’t make this outfit this summer, I am so glad that she can still fit into this Vogue 7819 (occasion dress and jacket) which I made for her 2nd Birthday (she’s 4 now!) I made it with lots of room for growth as I hate the idea of spending all those hours making it and then it either doesn’t fit for only fits for a little while. The jacket is a really good idea, in fact I have used the pattern with her 3rd and 4th birthday dresses. I am going to do a post in the not to distant future about the 4 birthday dresses I have made her and my plans for a very grand 5th one. These sun dresses were my favourite makes from the summer. So quick to do, thanks to the pre smocked fabric from one of my favourite fabric shops, Fabric Land I had a few hours (could have done with a few more, but them what fabric addict doesn’t need more time in fabric heaven) in their Bournemouth branch and ended up cutting these out on the hotel pool table (it was covered) and hand stitched them. They were a big hit with the girls and the other guests who had seem me cut them out and make them up were intrigued, some of them joined me in their crafting activities and I ended up creating a sewing and knitting bee in the hotel Bar.